I saw First Take and RGIII talking. What would be everyone's take on bringing him in as a backup QB next year? I don't see us resigning Bradford, too much $, if TB doesn't play at all.... I think we get another year with him? Correct? Will Keenum want a big deal? Is he our franchise guy or is he our Brad Johnson, Trent Dilfer for this year ? Just curious as to everyone's thoughts. I personally am loving this season and Keenum. I do not know if he's our franchise guy though. I don't think TB is either though. 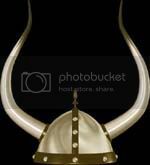 While I am a fan of RGIII (from the same hometown) he would not work well as a Viking. He's a fragile Cam Newton. IIsweet wrote: I saw First Take and RGIII talking. What would be everyone's take on bringing him in as a backup QB next year? My opinion on RGIII is no, I wouldn't want him. He's just not good enough in the pocket for me, and his accuracy leaves a lot to be desired. As for Keenum, it really depends on what happens the rest of the year. Does management view him as someone coming into his own, or do they view him as a backup who's had a nice run. I know what I believe -- I've shown in another thread that his career numbers compare favorably to guys like Drew Brees and Brett Favre at the same point in their careers -- but my opinion is completely irrelevant. If the Vikings believe he can play this way for many years, they'll give him a big long-term deal. Otherwise, he'll find a lucrative home somewhere. For crying out loud, Mike Glennon got $18 million. 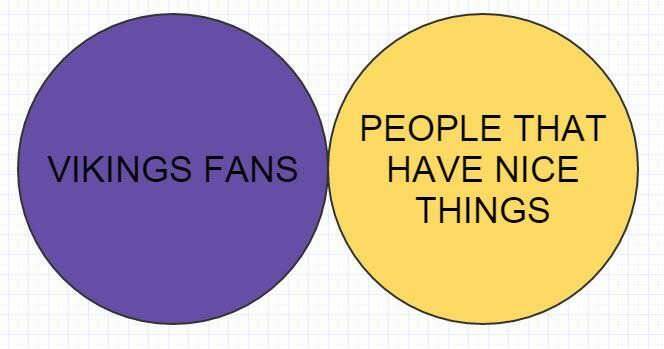 My view on Teddy is that if he proves to be the better quarterback of he and Keenum, sign Teddy long-term. I don't have a problem with it. I will admit though ... I've loved the way Case has played. NO on RG3. Although I did like his attitude with the Ravens. That being said, he should have played for them. After all, playing in a pre-season game he would at least of had the chance to show what he is capable of doing this year, even on short notice. A calculated error on his part I believe. As for next year, I think the Vikings find a way to bring back both Keenum and Bridgewater. Raptorman wrote: As for next year, I think the Vikings find a way to bring back both Keenum and Bridgewater. I would LOVE this but I just don't see any way of making that work. And here is why I DON'T want to see the Packers. MMQB wrote: The Panthers, Vikings and Lions stand in Green Bay’s way. Football Outsiders places the team’s chances at about 15 percent to get in. They would most likely need to beat all three of their remaining opponents. Should Rodgers get the Packers there, he at least gives NFL fans a chance to dream. Read the full, disgusting article here. My God, just when you think Peter King and his minions couldn't possibly slobber all over Erin Rodgers any more, they empty this barf bag all over the football world. Guys, we disagree on a lot of things. But I hope we all agree on our loathing of anything associated with Puke-Green Bay. I hope they never make the playoffs again as long as I'm alive. THAT would be the dream of this NFL fan. J. Kapp 11 wrote: And here is why I DON'T want to see the Packers. I know this isn't going to happen, but man oh man would I love to see Baker Mayfield take over this offense. With his accuracy and these receivers it would be "The Greatest Show On Turf" in Minnesota. 5thWave wrote: I know this isn't going to happen, but man oh man would I love to see Baker Mayfield take over this offense. With his accuracy and these receivers it would be "The Greatest Show On Turf" in Minnesota. My bet is Mayfield goes to the Browns and the Browns make the playoffs next year. Raptorman wrote: My bet is Mayfield goes to the Browns and the Browns make the playoffs next year. Ouch. That's a mighty hot take. dead_poet wrote: Ouch. That's a mighty hot take. Browns aren't as far off as people think. Their defense is 12th in total yards. While that may not seem great, they are 6th against the rush and 21st against the pass. A couple of key players and they can make a run for the playoffs. Remember they have 5 picks in the first two rounds of the draft, 4 in the first 37. A QB, edge rusher, DB, another WR...........That can make all the difference in their play. It all depends on the new GM. Me too. I think Mayfield is the best QB in the draft, and he has an edge about him. As long as he can stay out of trouble he will be a great Q.